President Trump’s speech: Homerun or failure? « “Toxic masculinity” contributes to male health problems. WHAT? 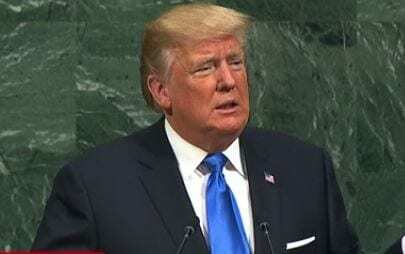 The media goes nuts over Trump’s United Nations speech saying no president has ever talked that way. Hmmm… John F. Kennedy (JFK), Ronald Reagan, Barack Obama, Bill Clinton… all said they would use force… NUCLEAR force! What’s wrong with telling the U.N. they need to step up and do something to stop evil in the world? Trump takes a hard line with North Korea and thanks China and Russia for joining forces to impose sanctions on them.